created by children’s author, Angel Krishna. Well, what to do? Should parents use an educational app for their kiddos? Sure! Educational apps should have many choices and opportunities to learn in a productive way. The app should cultivate the thought process of the child. This is why parents shouldn’t look for an easy app. They should look for an app that can help their child think, build common sense, and use their imagination. The Genius Kid App does all that and more. 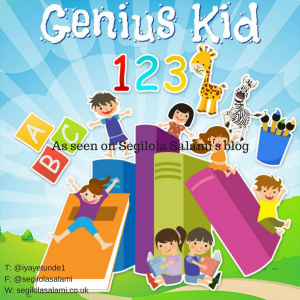 Genius Kid is very interactive and covers many learning tools – Letters and Sounds, ABC’s, Jumbled Word Puzzle, Tap the Right Number, Color Mixer, Math Puzzle, Solve the Problem, and much more. We are busy moms and dads and we want the best for our children. Today we juggle so much, we tend to push the education tools to the side and let the schools alone teach our children. Hmmm… I say, lets try harder! Genius Kid App will help your child learn in a productive, fun, and creative way.